461 Cuban health workers heading to West Africa, Patrick Oppmann reports for CNN. Seven different pieces of clothing, including two sets of gloves, go on. When he pulls goggles over his head, they immediately cloud up from the sweat pooling across his brow. For at least the next six months, 461 Cuban doctors and nurses are tasked with stopping the Ebola outbreak in West Africa in its tracks. Despite the limitations and shortages that the island nation’s socialist health care system faces, Cuba was one of the first governments to send health care workers to combat Ebola. Down the hall from Perez’s office is Cuba’s Ebola “boot camp,” an intense training program where for a minimum of two weeks, doctors and nurses are drilled on how to treat patients while not exposing themselves to the deadly virus. CNN is the only international news outlet that has been allowed to observe the preparations of the Cuban health workers before they depart for Africa. Already, 165 doctors and nurses from the island have been sent to Sierra Leone. More health workers will be dispatched to Liberia and Guinea. “We have the conviction that perhaps a few will fall ill but the majority will not,” he said. According to Cuban state media, more than 15,000 health workers on the island have volunteered for the risky mission. Officials said they decided to send only male doctors and nurses after seeing reports of attacks on local health care workers in hard-hit and increasingly desperate communities. “More than one person has been attacked and even murdered,” Perez said. The Cuban doctors and nurses will work under the supervision of the World Health Organization. 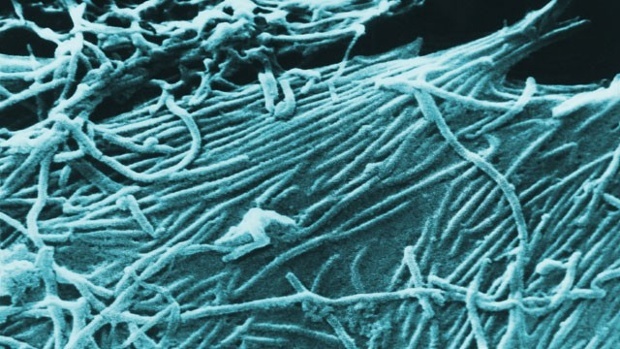 If they contract Ebola, the Cubans have been told they will not be brought back to Cuba for treatment, said Dr. Jose Luis Di Fabio, who represents the WHO and Pan American Health Organization in Cuba. Di Fabio told CNN that while medical equipment and money are pouring in from around the world, what the region needs most are qualified medical personnel. In a mock field hospital, the Cuban health workers run through mass triage of Ebola patients. They are working in a M.A.S.H. unit, open-air tents. and with the afternoon sun burning high in the sky, their makeshift ER feels like an oven. An Italian doctor training the Cubans barks orders seemingly without pausing to take a breath or drink from the bottle of water sloshing in her gesticulating hand. Dr. Osmany Rodriguez listens intently. A veteran of Cuban medical missions to Venezuela and Zimbabwe, Rodriguez said nothing he has faced in those countries compares to the task of fighting Ebola. “This is the biggest challenge I have confronted in my life,” he said. In the coming days, Rodriguez will join colleagues in West Africa and, after more training there, go to the front line of the fight against Ebola. “My family, they are a bit worried, but they know I will be taking care of everything. They will trust in my daily habits and routines in order to avoid the disease,” Rodriguez said. see a subdivision nearly your activity made. home the bacon you with sufficiency installation all day. learnedness close to mortal, whether direct the property that happened that day.